Music changes completely our experiences with food. Why? Because music makes us eat in a different way. 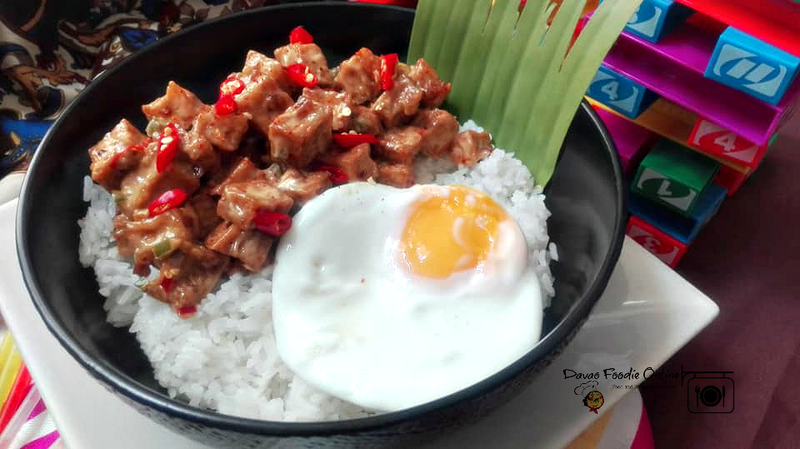 Just like how your choice of music can set your day on the right track, Max's Restaurant also lets you groove to the tune of your appetite with its wide selection of Rice Bowls that are sure to satisfy your cravings for delicious and sumptuous Filipino food starting at PHp149 with drinks. It turns out that music really is the main external factors which change the way we eat. Several studies have shown that listening to music while eating is likely to increase our food and drink intake. That's why Max's Restaurant come up again with these newest selections of Rice Bowls for you to enjoy. 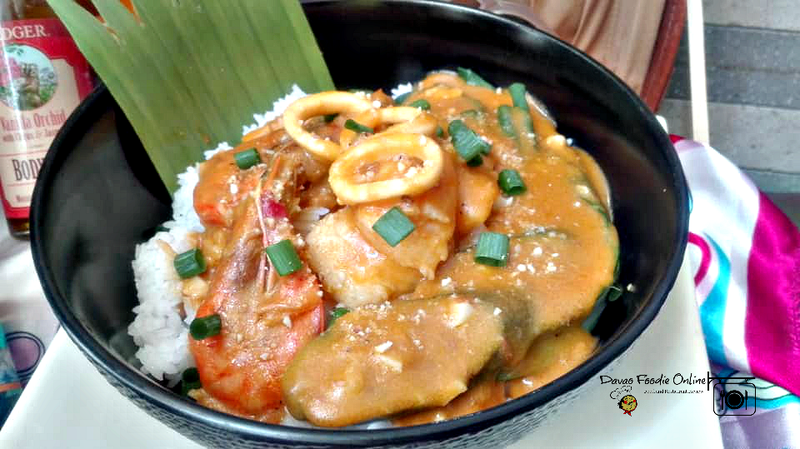 Made with a combination of shrimp, squid and fish slow cooked in creamy peanut sauce. Traditionally, kare-kare is cooked with beef tripe, oxtail or leg (some use pork). And uses freshly grounded roasted peanuts and ground rice to make a thick and flavorful stew. But if you're not fond of eating pork or beef meat, you can have seafoods as your substitute. 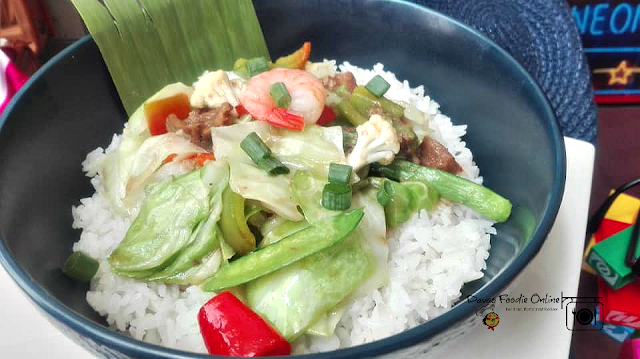 If you love seafoods, you gotta try this bowl! Made of breaded cream dory doused in a combination of sweet and tangy sauce. Though it's not a Filipino origin recipe, I still consider this as part of Filipino food since it is already become so common as Filipino dish served in any restaurants and during special occasion. 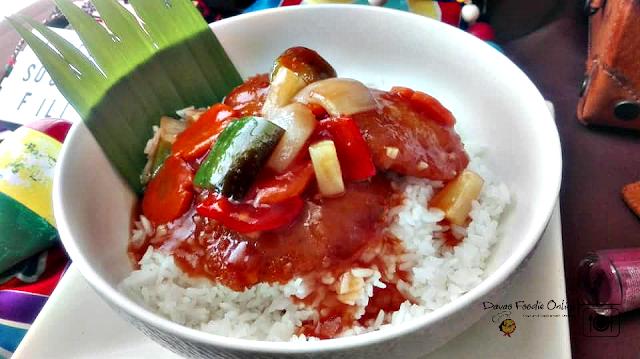 This rice bowl has a sweet and tangy taste that you simply can't resist! Feature a symphony of sauteed fresh vegetables, pork, shrimp, and chicken liver and gizzard, topped with shrimps and spring onions. Part of my growing up years, chopsuey become one of my favorite dish, though it's not again an original Filipino dish but still it has strong connection with Filipino tastes. At its core, chop suey is a quick stir-fry of a little meat and lot of vegetables with a savory sauce that's just thick enough to coat everything with flavor. Sounds pretty good huh? Why not give it a try! Deep fried tofu cubes tossed in a special spice mayo base and served with a side of fried egg. I'm not a tofu eater, but I can't believe this spicy tofu give me such a kind of a kick! This bowl is so spicy, fresh, zingy and light but satisfying. It's a meal ideal for the vegetarian out there, it picks up flavours so well, making it perfect bowl in these newest selection from Max's Rice Bowl. "We understand our customers when they say that their mood affects the food they want to eat," said Max's Restaurant Chief Operating Officer, Paolo Serrano. Whatever mood they are in, they can always come to Max's Restaurant and enjoy a bowl of rice topped with their all-time Pinoy favorites, the likes of Sizzling Chicken, Beef Caldereta, Adobo Ribs, Kare-Kare Rice Bowl, Crispy Pata, Bangus Belly Paksiw Rice Bowl and Fish Fillet in Black Bean Sauce. 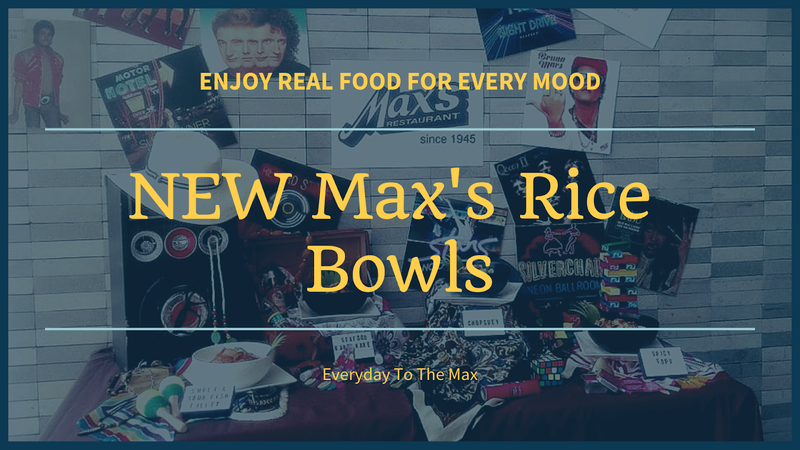 With Max's Rice Bowls, customers can now enjoy real food fit for their every mood. And with over ten flavors to choose from, Max's has once again given its diners a reason to celebrate EVERY DAY TO THE MAX!